This month has been filled with the hope a seasons changing, a day or two of sun and a lot of pampering sessions. For this reason my favourites are a mixture of body care products, skin care and beauty. The months always fly by so fast but each month I like to try at least one new product so that is always fun! Without further ado I will proceed with the products I have been really enjoying using this month. 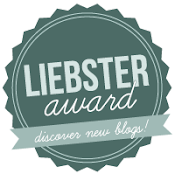 I hope you enjoy this post and find one or two products you would like to try yourself!! 1. 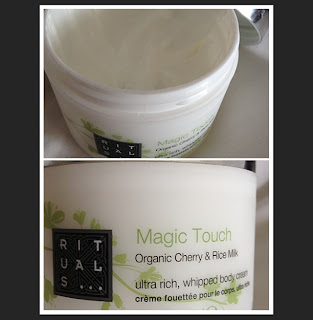 Rituals Body Cream – Magic Touch Organic Cherry and Rice Milk. I first received a sample of this body cream in a recent Glossy Box. I loved it so much I spent a long time looking for a full size. It is a body cream unlike most I have tried. It is super rich, whipped and velvety and really creamy. This product is so easy to apply; even though it is super rich it glides over the skin. It has such a luxurious feel even to touch and leaves the skin feeling extremely soft. The skin seems to drink this body cream in meaning that it has excellent moistening qualities also. It contains anti oxidants, vitamin E and other ingredients that work to strengthen your skin. Another important fact is that it smells absolutely amazing. I am so glad I spent so long looking for this a full size of this product as it is my favourite body lotion/cream – the best I have used! Defiantly recommend any one who enjoys body products to try these products. 2. 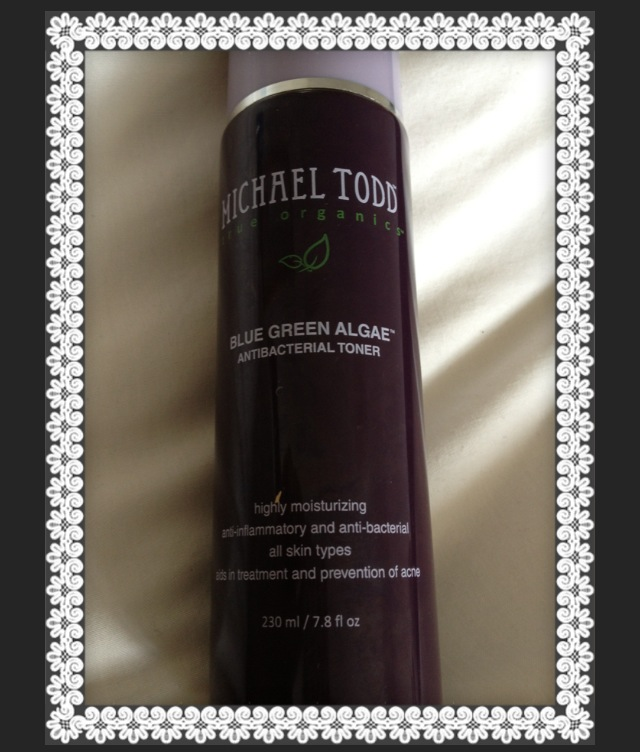 Michael Todd Toner – Blue Green Algae Toner. I had been experiencing an increasing number of break-outs; I had tried and tested quite a few different skin care products in an attempt to combat this problem. In my pursuit of a solution I watched and read a few reviews of this product and simply had to try it myself and I am so glad I did! This toner is excellent. This toner is anti-bacterial which first off can’t but help to clear up problem skin, oily patches and similar skin problems. It even smells so cleansing with hints of lavender and Birchwood. It is packed with vitamins, minerals and amino acids and has aloe Vera to sooth the skin and leaves it refreshed. Honestly I cannot say enough good things about this toner; my skin has cleared up completely since I started using it. I have repurchases it twice and I will continue to use it. I have recently ordered a few more items from the Michael Todd range and I look forward to their arrival as I hope they will be as good as this toner. 3. 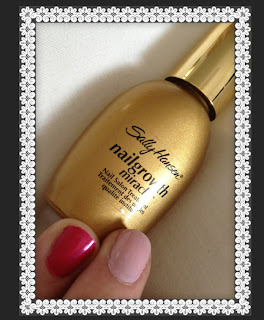 Sally Hansen Nail Growth Miracle Treatment. I have been using this product for well over two years now and I find it amazing. I use it for a few purposes. First off I use it to keep my nails strengthened, to help them grow strong and keep them in good condition. I also use this product as a top coat and it is excellent. So I apply this product as a base coat for the strengthening purposes, then apply my colour and to finish it off I apply it as a top coat. My nails do not chip, they last for 4 to 5 days (if I don’t get tired of the colour and want a new polish). It is rich in formula so you only need one thin coat meaning the product really lasts. It also gives the nail a really shinny finish. This product is a great investment for any gal who loves nail care. This is another product I have been using for months - since Christmas to be exact! Every time I use this product (which is every time I was my hair) I am reminded why I love it so much. It smells amazing; it leaves your hair so super soft and packs your hair with lots of vitamins and active ingredients that protects colour in colour treated hair. 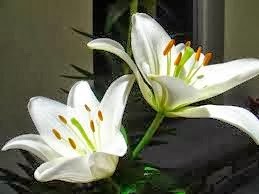 It adds shine and radiance. It has so many uses. It can be used as a pre cleanse before washing, it can be applied to shampooed hair to add shine and fabulous fragrance and after shampooing and blow drying to smooth and give extra shine. It adds a little nourishment to your hair every time you use it. I only use one or two pumps so a little goes a long way with this product. It is a great hair product that I will again continue to use. 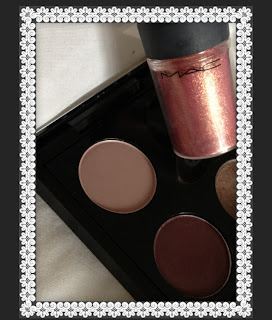 Traditionally I have always been swayed towards a brown eye shadow look or a smoky look. Seeing as the season is changing I wanted to change up my look a little so with this in mind I went on the hunt for a new shade. The result is sketch! It belongs to the velvet collection and it is a burgundy with a delicate red shimmer. I wanted a lighter shade to blend for a day to night wear. It is fabulous! I love to add a touch of the rose pigment, blend and instantly the result is a pink/burgundy smoky eye for night ware and the rose pigment is fabulous for day wear especially if blended with a light pale pink. The rose pigment has a delicate shimmer. I am really enjoying experimenting with this these shadows. Hope you found one or two products you would like to try and if you have any fav's you would like to share just leave a comment below. Thanks for reading my post. 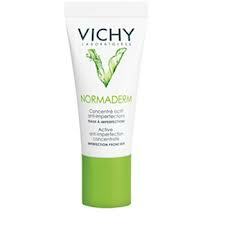 I'm disappointed with the Normaderm range as well; made me breakout. The face wash peeled off half my skin. Staying far away. I have to agree, I found it did nothing really for my skin,and you are so correct about the "peeling off" ur skin! what have you been using that your loving at the mo?